Being involved in an accident can be very serious and come with consequences. When they say life’s short, they really mean it. Imagine you are on your way to work in the morning, driving safely, and someone crashes right into you. You could end up severely hurt or worse. Cars are on the road all day, every day and if you are someone who drives frequently, driving is probably second nature to you but this is not the case for everyone. Unfortunately, no matter how safe of a driver you are, you are still at risk for personal injury when you are driving around other cars on the highway. Our truck accident attorney at Payer Law Group urges you to remain safe and alert at all times when you are driving. It is hard enough to have to drive a regular sized vehicle in rush hour traffic, now imagine you have to drive a large truck! Accidents happen and when they do, speak with our Orlando truck accident lawyer. Truck driver’s error- A driver error is ten times more likely to be the cause of a truck accident above everything else. The error can be caused by fatigue, not paying attention, or substance abuse. Truck equipment failure- Equipment failures can be categorized as design or manufacturing errors. There may also be mechanical problems like poorly maintained tires and brakes. Although it is policy to perform a pre-trip inspection and proper maintenance on the truck, equipment failure causes a significant amount of accidents. Jackknife accidents- This happens when a trailer’s axle brakes lock into place which causes the back of the trailer to veer out of control. This puts the truck in danger of tipping over or the truck completely rolling over. Unsafe loading- If the load is not safely secured on the trailer, the load can cause the truck to break down. If there is improper loading, the load may fall off the back of the truck causing the driver to swerve and possibly cause a multi-car collision. Drinking and driving- Whether you are drinking and driving in a car or a truck, it is against the law and our Orlando truck accident lawyer suggests that if you are out drinking, do not drive a truck! (or any car for that matter). Your impairment can put you and everyone else on the road in danger. Under rides- This occurs when a smaller vehicle rear ends the trailer of a truck and the vehicle is pulled underneath the trailer. Blind spot crashes- The larger the truck, the thicker the blind spot is. If a truck driver fails to look to see if a car is in the blind spot, an accident will most likely occur. Rear end accidents- Truck drivers usually do not gauge how much space they need behind a vehicle. Believe it or not, rear end collisions can occur at lower speeds and truck drivers need to be more cautious about preventing these types of accidents. The runaway truck- If a truck does not brake properly or loses control, a runaway truck accident may follow. Our truck accident attorney wants you to know that this kind of accident can cause severe damage. 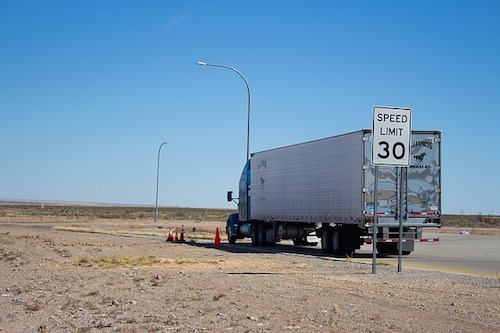 Wide turns- Although a truck driver needs to have a special license, it can still be hard to determine the space allotted for a truck to make a wide turn. If a driver misjudges the amount of space they have, they can collide with a vehicle waiting to turn. If you drive a truck, always be extra cautious. Make sure you are performing proper inspections on your truck before every drive and don’t be so certain that someone else already inspected it. You need to inspect the truck before you sit behind the wheel. While you are driving, remember that cars may be harder to see in your blind spot and you need to be careful of this.